A walk along the beach also provided a relatively sickly young Nazca Booby, some really showy Galapagos Doves as well as equally obliging Galapagos Flycatcher and Warbler Finches. After a good bit of snorkelling, we all loaded onto the boat and made the short sail to Punta Suarez, also on Espanola. 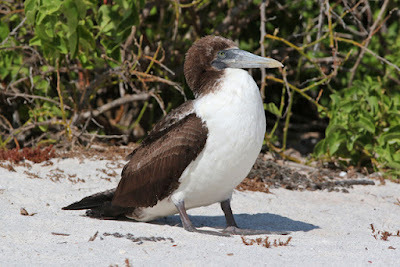 This was the home of the albatrosses, but as we disembarked, it was the usual Marine Iguana assault course. 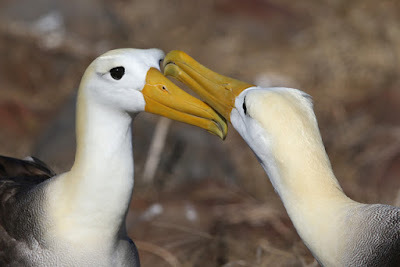 Hundreds of Nazca Boobies and Swallow-tailed Gulls dominated the seabird scene, as did a good few Red-billed Tropicbirds. 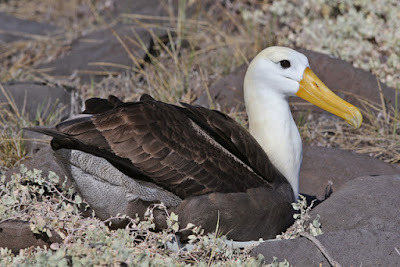 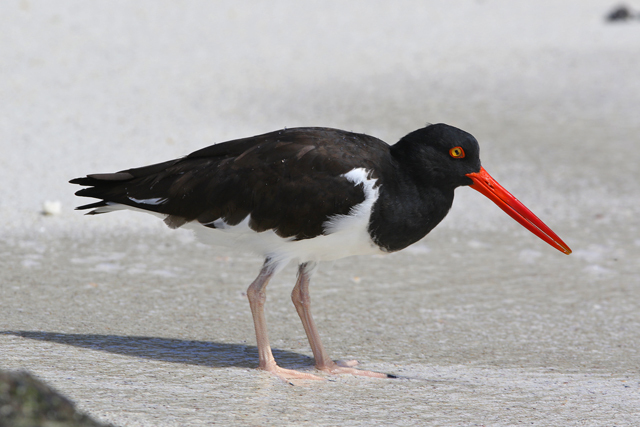 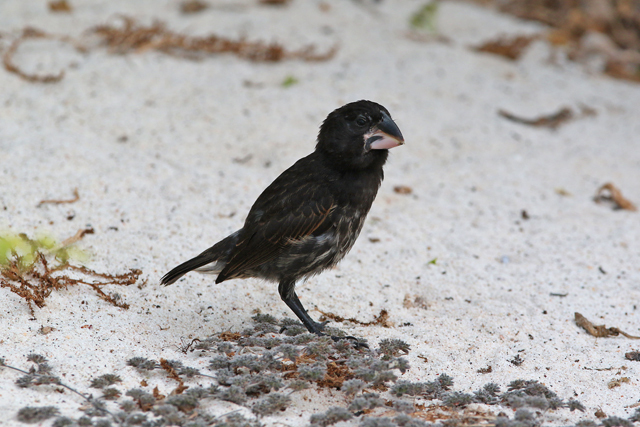 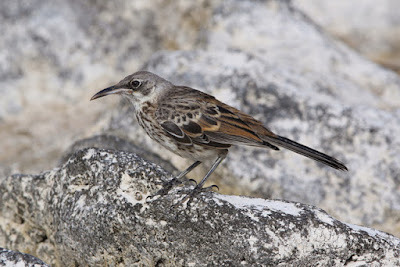 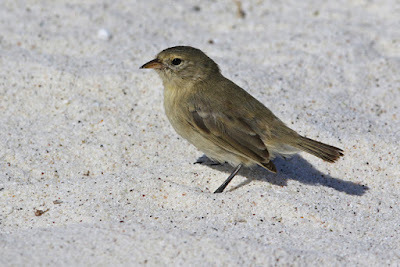 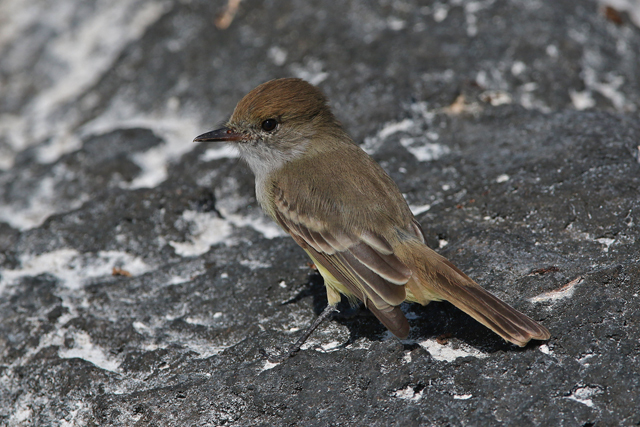 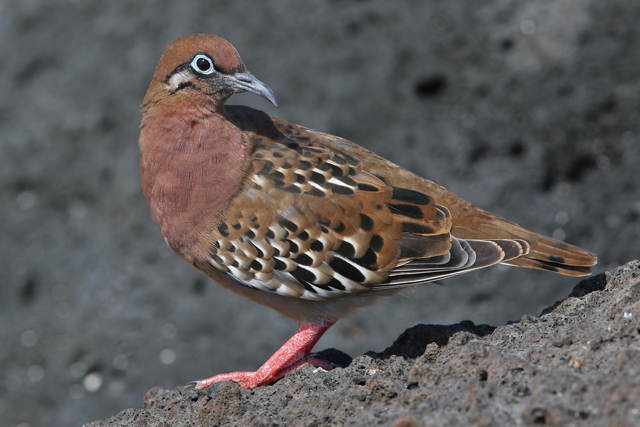 Thousands of Galapagos Shearwaters buzzed around offshore too, while on land a lost looking Cattle Egret stalked about, a Galapagos Hawk was calmly tending its chick and a fair number of Small Ground Finches buzzed about. 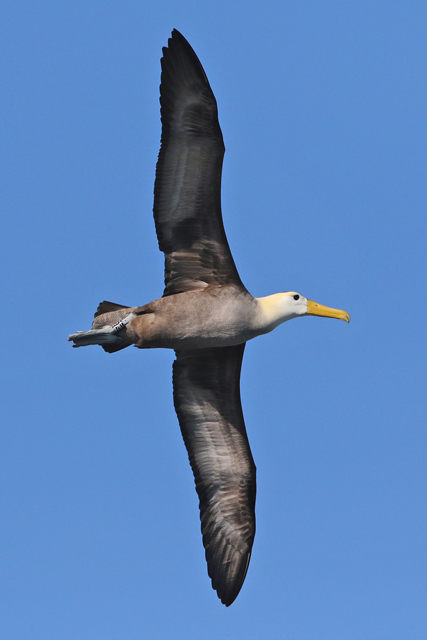 The seabird experience here was brilliant, like the Farne Islands on heat. 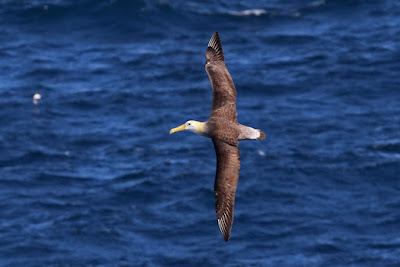 The albatrosses were as good as I'd expected yet the whole day we were blessed with great weather and it never felt I was rushed about. You often here about people being frog marched around the Galapagos by their guides, from one site to see to the next, but rarely did I feel like this with our guide Juan Tapia. Anyway, all good things have to come to an end and in the late afternoon it was time to get back on our boat and head out to sea in the direction of Santa Cruz island. 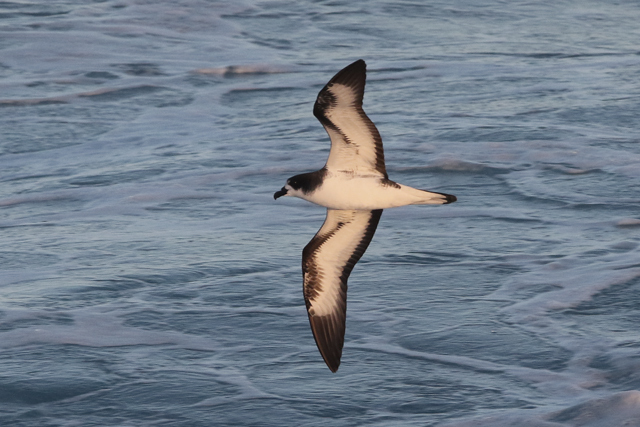 With a couple of hours of light left, it was a good opportunity to do a bit of birding from the boat. 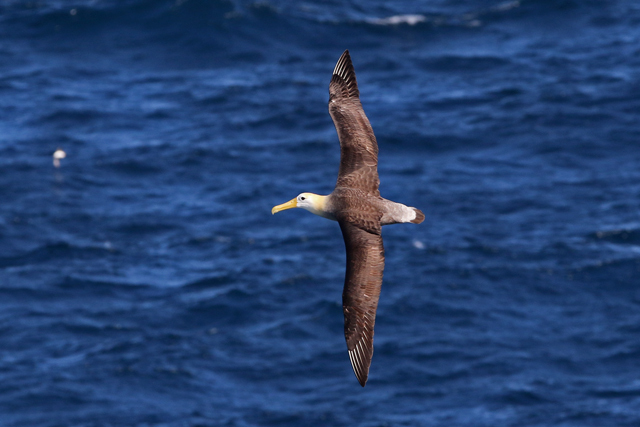 And this paid off - twenty or so Waved Albatrosses cutting the waves, four Galapagos Petrels, including a couple nice and close, as well as a single Madeiran Storm-petrel (the only one of the trip), a handful of Wedge-rumped Storm-petrels and lots of Elliot's Storm-petrels and Galapagos Shearwaters.